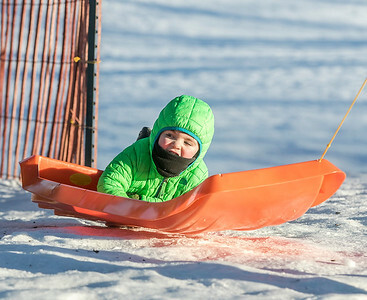 Sarah Nader- snader@shawmedia.com Brian Peevy (left),3, of Marengo is pulled up the icy hill by his father while sledding at Veterans Acres Park in Crystal Lake Saturday, January 2, 2016. Sarah Nader- snader@shawmedia.com Brian Peevy (left)3, of Marengo is pulled up the icy hill by his father, Jeff Peevy, while sledding at Veterans Acres Park in Crystal Lake Saturday, January 2, 2016. 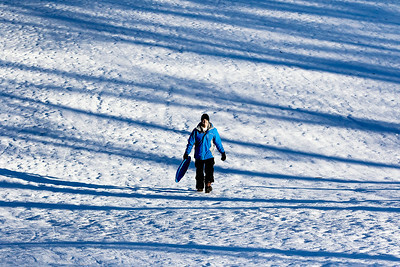 Sarah Nader- snader@shawmedia.com Andy Reinhard of Crystal Lake walks up the icy hill while sledding with his son at Veterans Acres Park in Crystal Lake Saturday, January 2, 2016. Sarah Nader- snader@shawmedia.com Matt Johnson of Huntley takes a rest on top of the hill while sledding at Veterans Acres Park in Crystal Lake Saturday, January 2, 2016. 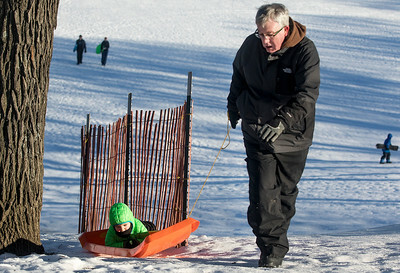 Brian Peevy (left)3, of Marengo is pulled up the icy hill by his father, Jeff Peevy, while sledding at Veterans Acres Park in Crystal Lake Saturday, January 2, 2016.